Improving electronic access to your medical data can improve your care and lower health care costs. CDPHP is a strong supporter of Hixny—Healthcare Information Xchange of New York—a local not-for-profit consortium that is helping doctors gain secure online access to their patients’ electronic medical records. 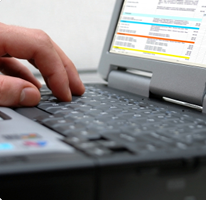 Why are electronic medical records important? Electronic medical records help eliminate the need for duplicate testing and make your care safer. In a medical emergency, the doctor treating you may not have time to track down critical information about your allergies, prescription history, and medical conditions. If your medical records are available via Hixny, it could literally save your life. What can I do to make sure my records are available through HIXNY? Sign a Hixny consent form if your doctor’s office asks you about it. You may have to sign separate forms for each health care provider. CDPHP would also like you to consent to us viewing your records online. Receiving data electronically from your doctors saves us all time and money. Why does CDPHP need my health information? Member data helps us plan quality initiatives such as wellness workshops, informational mailings, and incentive programs. We will never use the information we receive through Hixny to determine your benefits or deny payment for covered services. Sign a Hixny consent form today.